We provide referrals to parents seeking Georgia child care, afterschool programs, Georgia Pre-K, Early/Head Start and summer camps. Let us make finding quality, affordable, and convenient care for your child easier. All of our child care services are FREE, CONFIDENTIAL, and STATE-WIDE throughout Georgia. Whether you are looking for Atlanta child care, Columbus Georgia Pre-K programs, Savannah family child care programs, or anything in between, we can help! Perform your child care search to get started! Parents and families need an independent, trustworthy resource to help them find high-quality child care, preschool and pre-K programs. 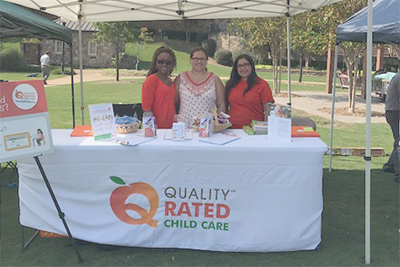 Georgia’s Quality Rated tool helps families find child care in their area that have been evaluated by credentialed early childhood experts and identified as high-quality. A quality child care, preschool or pre-K program provides children with a nurturing and educational environment to help them learn and develop their social skills so they have a strong foundation as they grow. 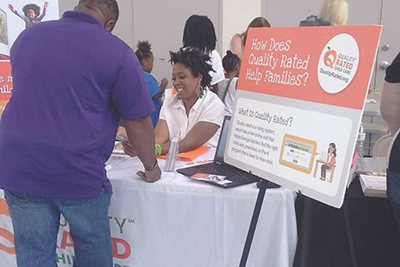 Quality Rated enables parents and families to easily find those quality care options for their children. They can rest assured that the program they are considering has been assessed by the State of Georgia and is committed to providing children an environment and experience that is best for their development. To learn more, visit QualityRated.org or download the quick fact sheets below. Start your child care search sooner than you think you need to. It takes a considerable amount of time to research your options, make comparisons, and visit potential providers. 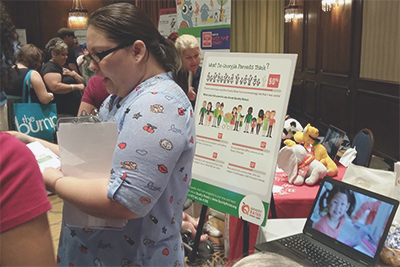 Call 1-877-ALL-GA-KIDS (1-877-255-4254) to get a list of providers that match your specific needs. 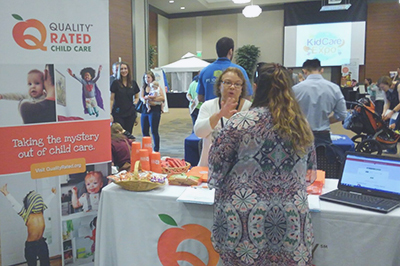 Our child care search experts can help you identify possible providers based on the location of your work or home, budget, and more. Create your own list of possible providers by performing a child care search online at www.qualityrated.org. After you have created a list of possible providers, call each one to check details such as availability, hours, fees, etc. Before visiting possible child care providers download the child care checklist and observe the quality indicators included on the list. Visiting each location gives you an opportunity to make important observations and ask questions. Possible question might include: How many children are with each adult? See the child care checklist for ratios. What are the training and education requirements for staff? Are general emergency procedures in place in the event of inclement weather? If so, what are they? How many staff has been employed with the provider? What is the policy for sick children and emergencies? What are the policies for field trips and transportation? Is the provider Quality Rated? If not, why? Click here to learn more about Quality Rated. Review all of the information you have collected from your child care search, evaluate your choices and make the selection best for your family. Once your child is enrolled with the provider of your choice, remember to be available to communicate with staff about your child on a regular basis. Make time to visit your child while they are in their learning environment or ask about other volunteer opportunities. Your child is more opt to be engaged in learning when they see that you have taken an interest in their education. Also, have daily conversations with your child about their experiences. No matter how old (or young) your child is, children benefit most when their primary caregiver takes a positive interest in them.